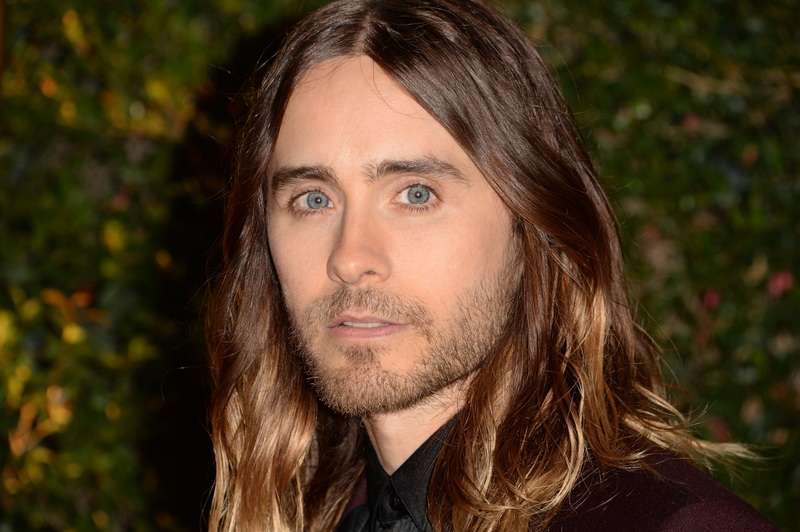 This is difficult news for anyone to digest: Jared Leto's long hair is no more. That silky, shoulder-grazing ombre is no more, tragically taken from us so that Leto can prepare for his role as the Joker in the upcoming heroes-and-villain flick Suicide Squad.Though no suspect can be officially named at this time, the hair seems to have been removed at the order of David Ayers, the director of the upcoming film and breaker of all our hearts. But whoever is to blame (like, say, for example, Ayers) we can't lay here in our grief. Leto's hair would want us to celebrate its life, and it certainly deserves to be celebrated. So, goodbye, old friend. It seemed like just yesterday we saw you basking in the light at the 2014 Oscars. Everyone knew that if the Oscars were for hair, you would have taken home the lot of trophies that year, and in our hearts, Leto's Best Supporting Actor win was half yours to claim. Your shine, length, and perfect ends made us wish that our own hair was as strong and healthy as you were, even if we knew that, ultimately, nothing gold could stay — including the golden tips of your perfect ombre. Here is a look back on some of your best work — the looks that made us fall in love with you all over again. Khloe Kardashian and Vanessa Hudgens may have pioneered the trend for women, but their locks can't hold a candle to you. You brought life to our favorite gym 'do. Just look at that movement. Amazing. Because long hair sometimes needs a beard friend. The look that could cover the corsage. We'll never forget your gentle waves, or the way the ringlets always looked so touchable and soft, like Cara Delevingne's bunny. You may not have been able to act, or sing, or have an Instagram of your own a la your keeper Leto, but you touched our lives in ways that so many celebrities simply couldn't. You inspired us to ask our friends, partners, fathers and brothers to grow out their own locks, and for that, we will never be able to repay you, even if our male peers were less than thrilled with their own results. Thank you for making man buns cool, rebirthing the ombre, and for avoiding scissors until today. It wasn't easy, but you made it look so good. For that, we all thank you. Rest in peace, old friend. You are already missed.